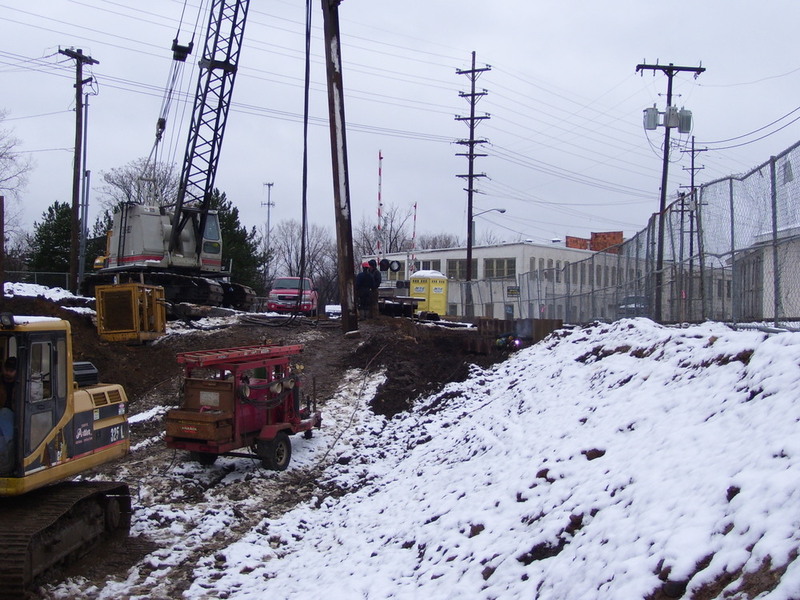 THE KING CO., INC. was selected by McGraw Construction to design-build an earth retention system to protect the adjacent CSX railroad during excavation. 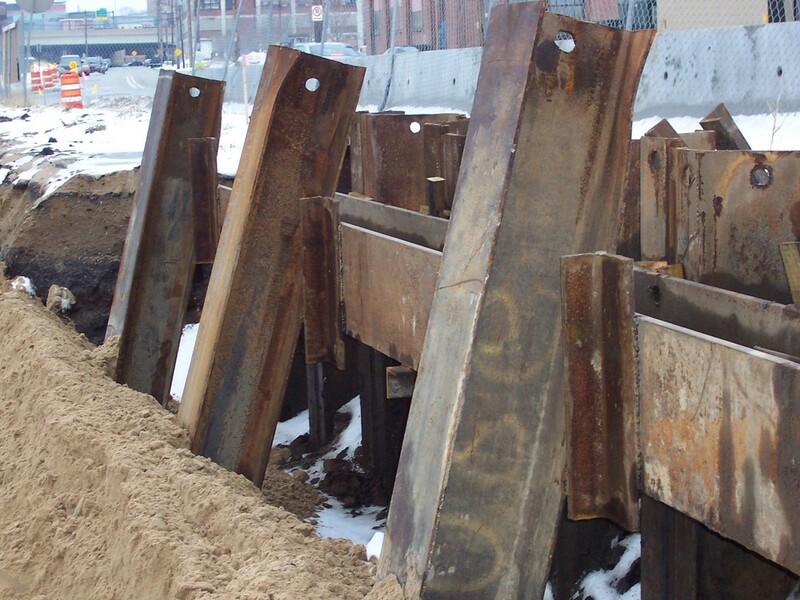 The temporary earth retention system consisted of an internally braced steel sheet pile system designed to meet CSX railroad design criteria. 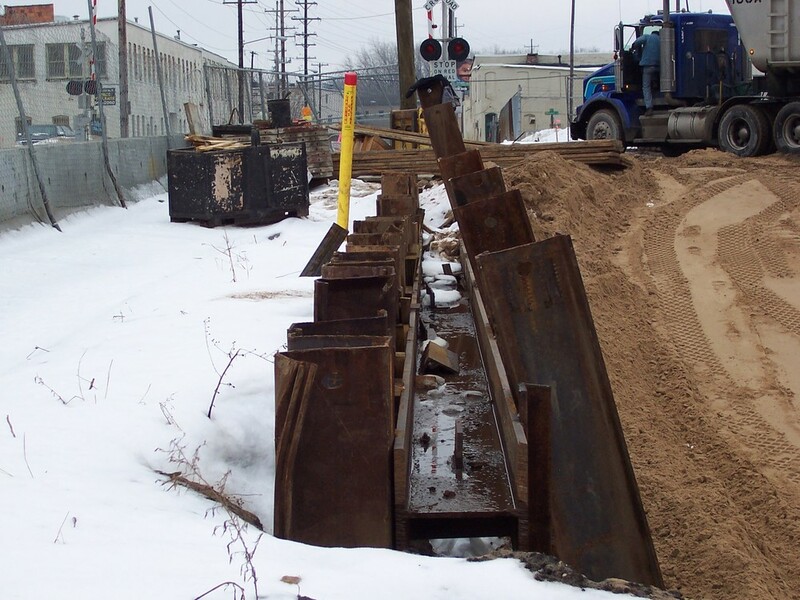 The sheet pile system was installed along the CSX railroad easement. After installation, the maximum deflection measured along the earth retention was 0.25-inches, exceeding the design specification criteria - and providing a safely supported excavation for the concrete foundation installation.